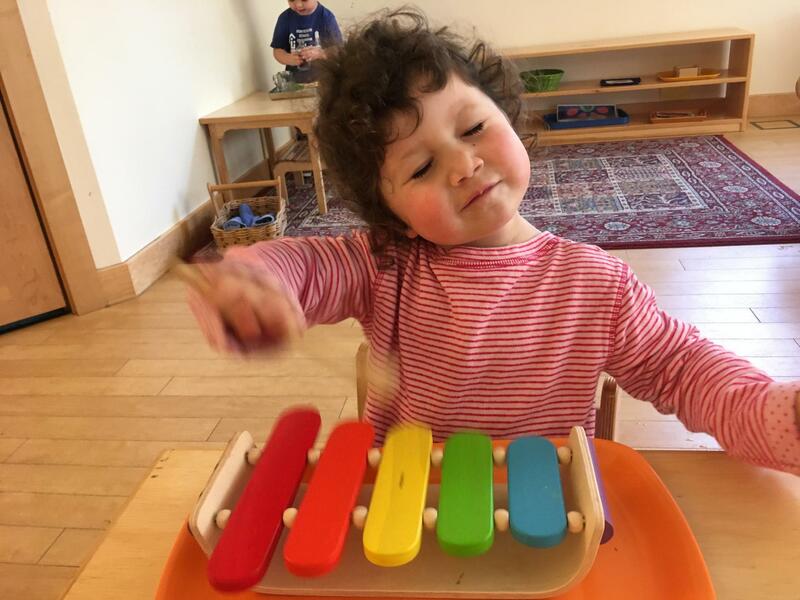 The Toddler Program at Montessori School of Durham is specifically designed to develop language, cognitive and motor abilities in children ages 18 months through 3 years. The program focuses on modeling social skills and graces, finding friendships, and instilling collaborative work while uniting the toddler’s strong sense of independence with practical success. A snapshot of our day includes running, climbing, throwing, investigating, individual and group lessons, snack time, and gathering time with songs and stories. Student-teacher ratio is typically 6:1. Each year begins with an orientation period that allows for a smooth transition away from a primary caregiver into what is often the child’s first community of peers. 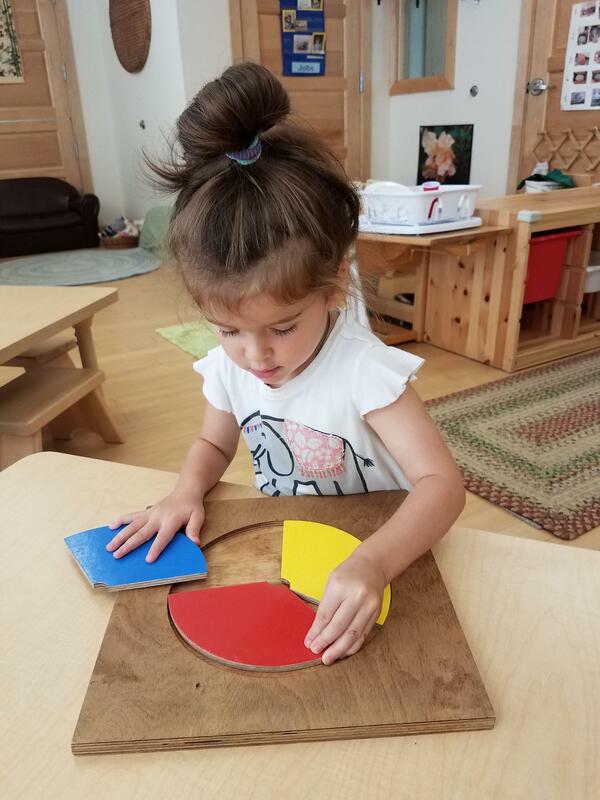 The environment is rich with materials to stimulate conversation and the development of language, with manipulatives, pre-math materials, science and nature exploration, and activities for sensory exploration and gross and fine motor development. Children are introduced to art and music from various cultures and have many opportunities for creative expression. Practical life skills relate to care of self and the environment, including toilet learning. 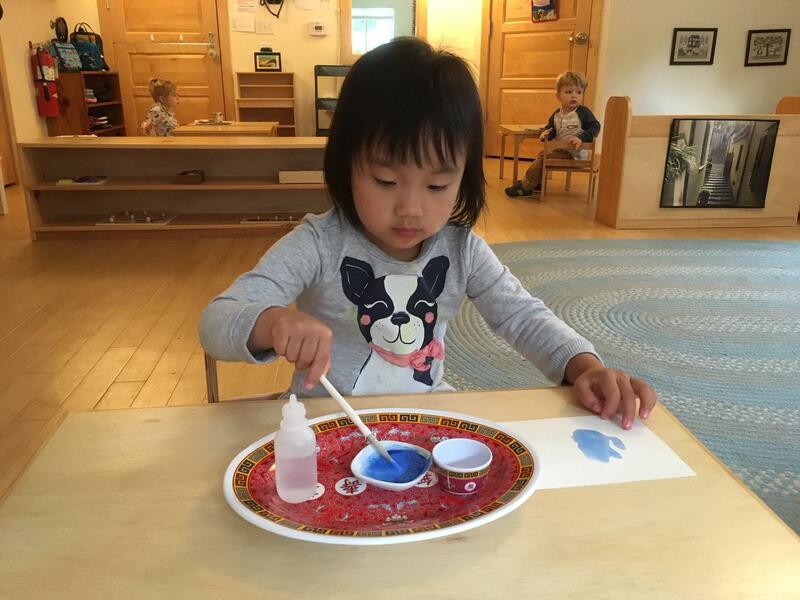 Activities often are multi-dimensional: work washing a table, for example, involves both large and fine motor skills, memory recall, logical sequencing of steps, and vocabulary building. 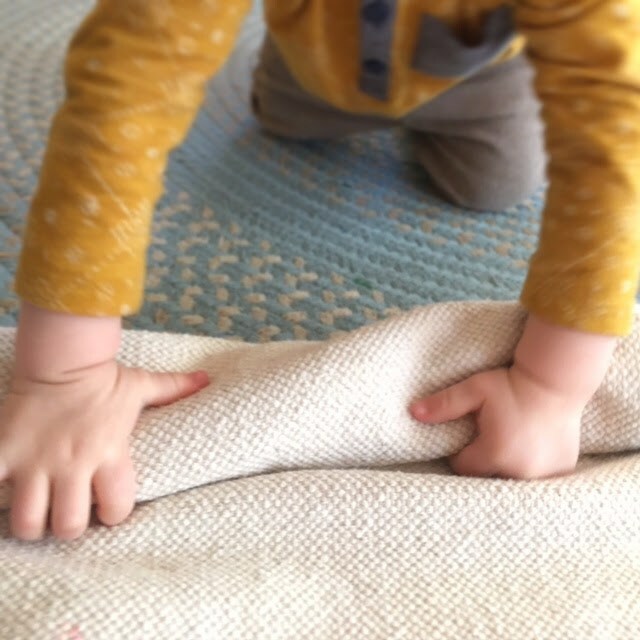 Maria Montessori realized that with just enough guidance, toddlers can engage with the world and do quite a bit for themselves, for others, and for their environment.